Jensen is a current undergrad student at Blackburn College where she is pursing a degree in Sport and Fitness Administration/Management. Jensen plans to graduate in 2019 and currently works as an Athletic Ambassador for Blackburn College. 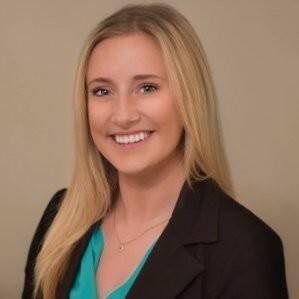 Nicole is a current Indiana University student and is pursuing her degree in Business, Management, Marketing and Related support services from the Kelley School of Business. Nicole plans to graduate in 2018 and has worked as the Special Events Committee Gala Chair for the Indiana University Dance Marathon. Brian is a current undergrad student at Indiana University where he is pursing a degree in Accounting and Finance from the Kelley School of Business. Brian plans to graduate in 2020. Meghan is a current undergrad student at Indiana University pursing a degree in Journalism, specializing in Advertising/Public Relations and marketing and minoring in Spanish. Meghan plans to graduate in 2018, and works as part of the part-time staff with DistinXion currently. Nicole is a current undergrad student at Indiana University pursuing a degree in Sports Communication. Nicole plans to graduate in 2018 and has held many positions with Girls Inc., IU Student Foundation’s Little 500, and Indiana University Athletics. Cory is currently an undergrad student at Indiana University and is pursing a degree in Sport Marketing and Management. Cory plans to graduate in 2019. Carly is a current Indiana University student that is pursuing a degree in Finance and Management from the Kelley School of Business. She plans to graduate in 2020 and has multiple positions with Indiana University Dance Marathon Committee and the Economics Department at Indiana University.